In collaboration with champion mountain bike downhill racer, Aaron Gwin, Troy Lee Designs is proud to announce a special, limited edition TLD Sprint race kit. The all new Sprint race wear for 2014 has been completely redesigned from the ground up and is our lightest, most athletic race fit-kit we have ever designed. The Sprint kit has already won two UCI World Cup races this year aboard Gwin and Troy Brosnan, a UCI BMX World Championship with Sam Willoughby, as well as hundreds of regional amateur race wins. Aaron will be in his signature kit this weekend at the UCI World Cup in Mont-St-Anne, Canada. The limited edition gear will be available beginning Monday, August 4th. The Sprint jersey, which retails for $50, feature mesh arms and side panels for targeted ventilation, along with a moisture wicking rear collar. 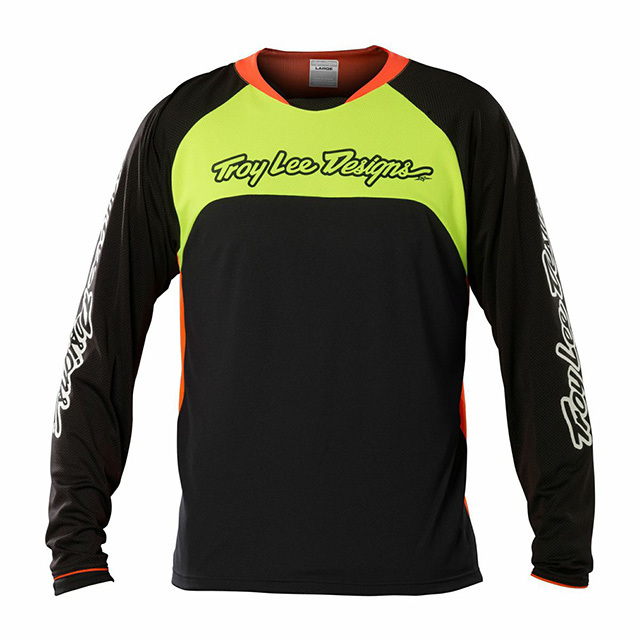 It is race inspired with sublimated graphics and freeride dialed construction and design. The Sprint short is made of 600 denier polyester material for durability and protection, with 2-way stretch poly spandex and 5.5-inch zipped front pockets. The shorts, retailing for $86, feature full waist and hip adjustment via bonded rubber adjusters, 500 poly-mesh for optimal venting, lycra stretch inner liner panel, rear stretch yoke and a full polyester mesh liner. The Sprint pant, retailing at $125, features premium single snap fly closure, rear stretch yoke, and full waist and hip adjustment via bonded rubber adjusters. The gel print on the waist band keep pants in place and the 600 denier polyester material help with durability and protection. The pants also include 500 poly-mesh for optimal venting, 2-way stretch poly-spandex, lycra stretch inner liner panel, 5.5-inch zipped front pockets and 3/4 length polyester mesh liner. For more info visit your local Troy Lee Designs dealer, or our website. 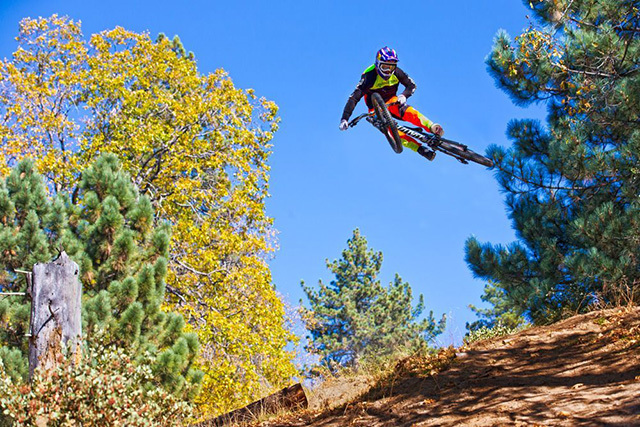 You can also enter here to win your very own Aaron Gwin signature kit and Gwin helmet!